Human Space* was initially hired in 2014 to overhaul the Town’s existing guidelines and in 2018 Human Space completed an update of the Town of Oakville’s Universal Design Standards. Through stakeholder feedback and our team’s consultation, a thorough analysis of best practices and required accessibility legislation was completed. The design standards aimed to create environments that would achieve the highest level of accessibility, which integrated universal design principles. The existing text, diagrams and graphic layout were revised to reflect the new recommendations and the final guideline was released to be usable with assistive technologies, such as screen readers. The guideline redevelopment is a comprehensive tool to enhance accessibility within the Town of Oakville. 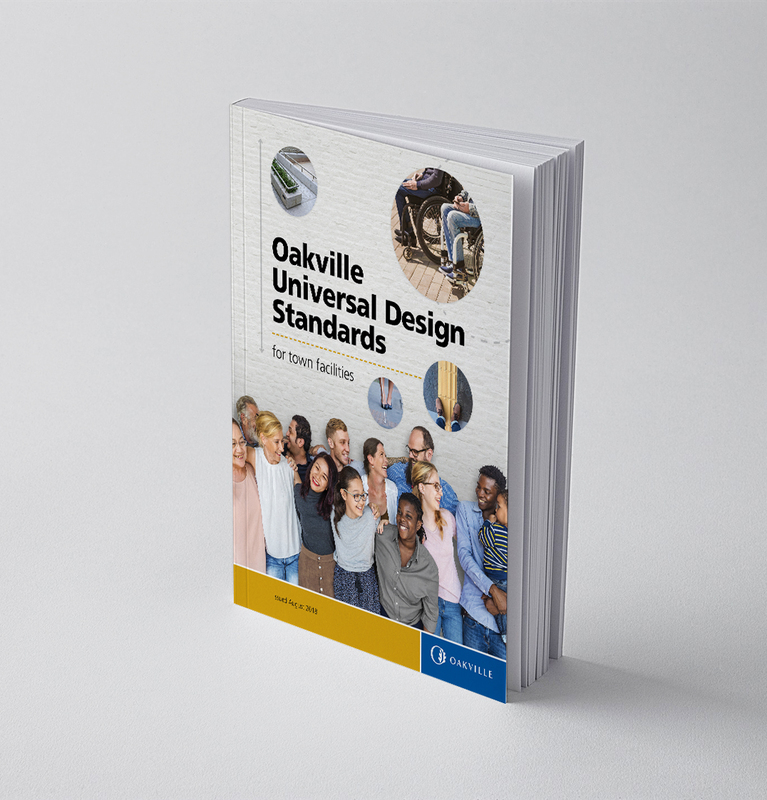 The Town of Oakville now has official guidelines on how to design more inclusive spaces. 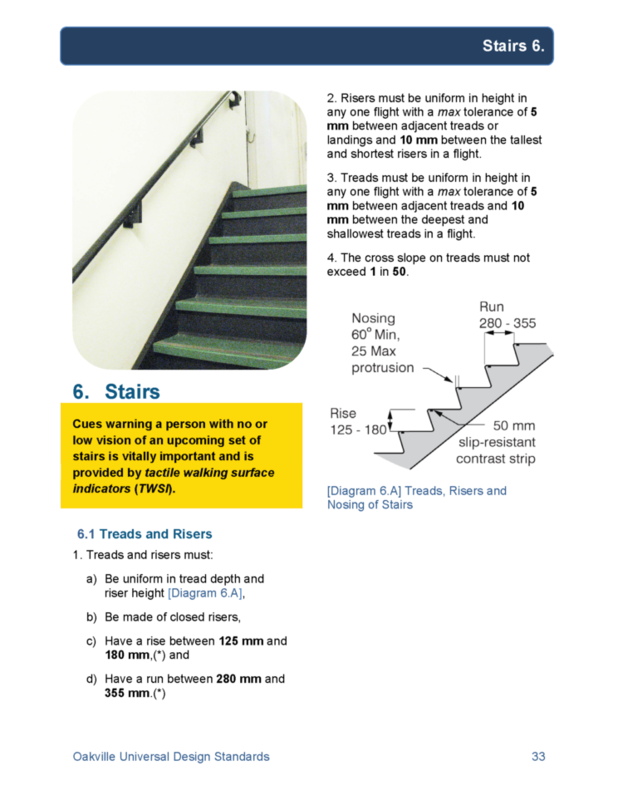 Easy to follow diagrams lay out best practices in space and reach requirements as well as building code requirements. 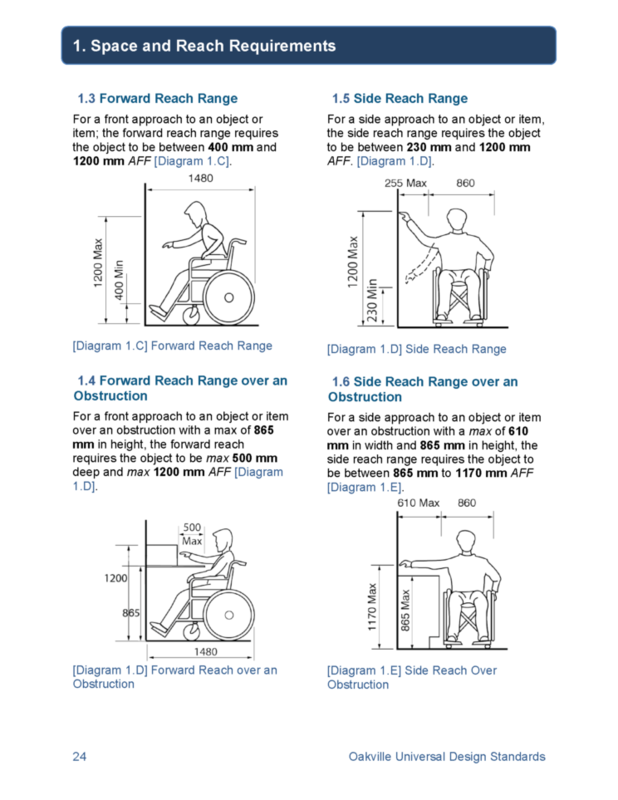 Design guidelines developed by our accessibility experts included details on best practices.